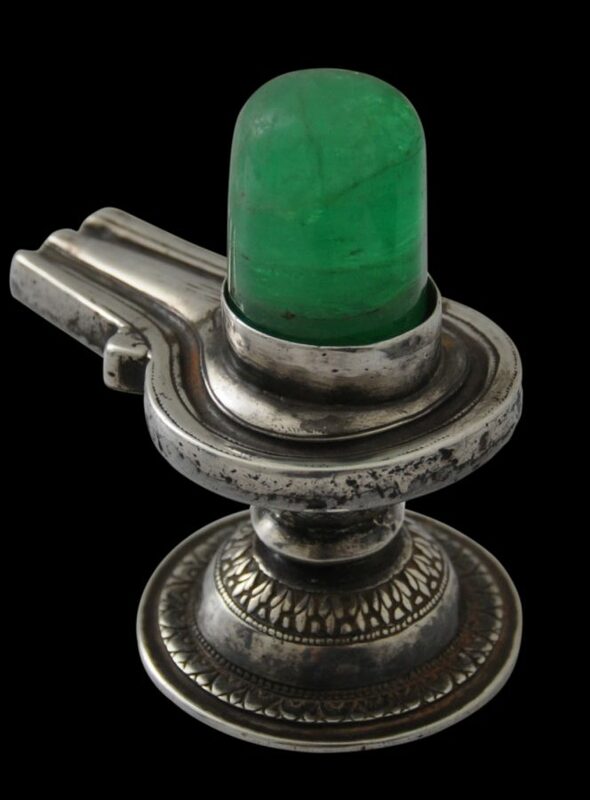 This extraordinary and extraordinarily rare shivalingam comprises a high-grade chased silver yoni base, and a lingam made of an exceptionally large single emerald. The emerald weighs 188.88 carats. 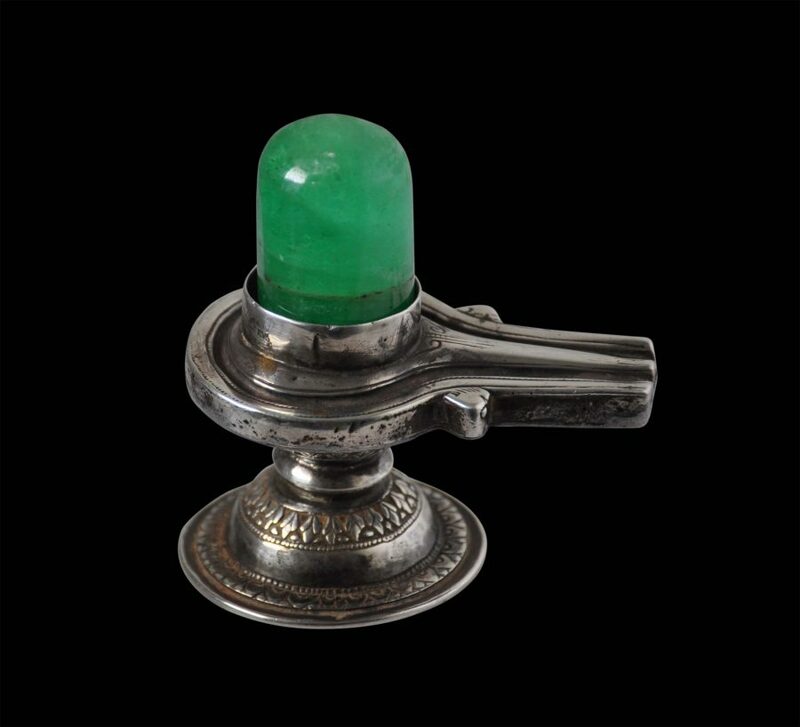 To put this in context, in 2015, London’s Victoria & Albert Museum exhibited jewels from the Al Thani Collection of Indian jewels and this included several massive Mughal-style emeralds. The largest of these was 84.8carats (see Stronge, 2015, p. 54-55). 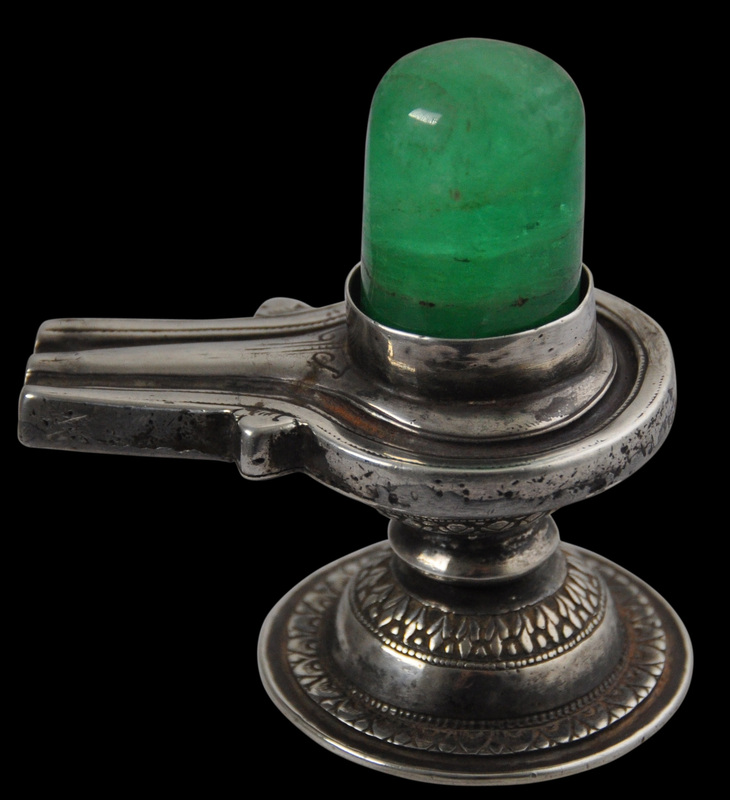 Most probably, the lingam has been polished down from a large, natural hexagonal emerald crystal. 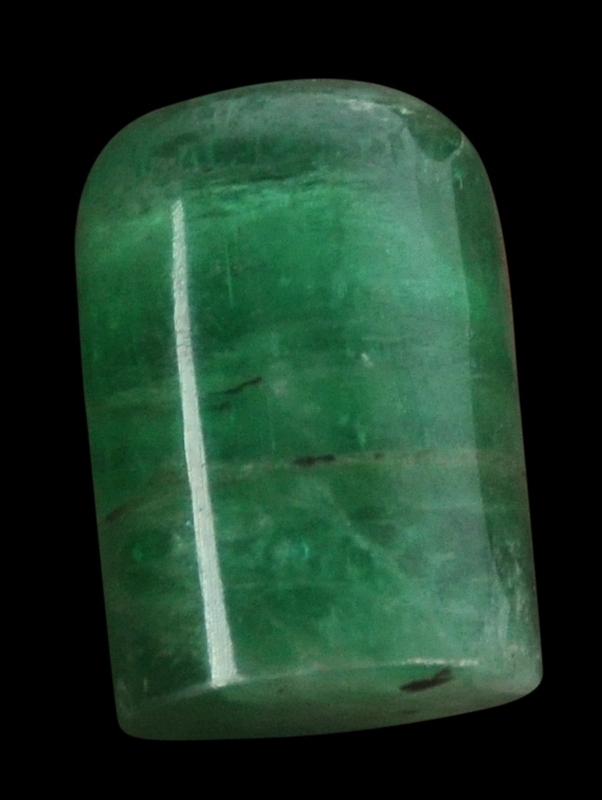 The emerald has a good green colour and plenty of characteristic inclusions. 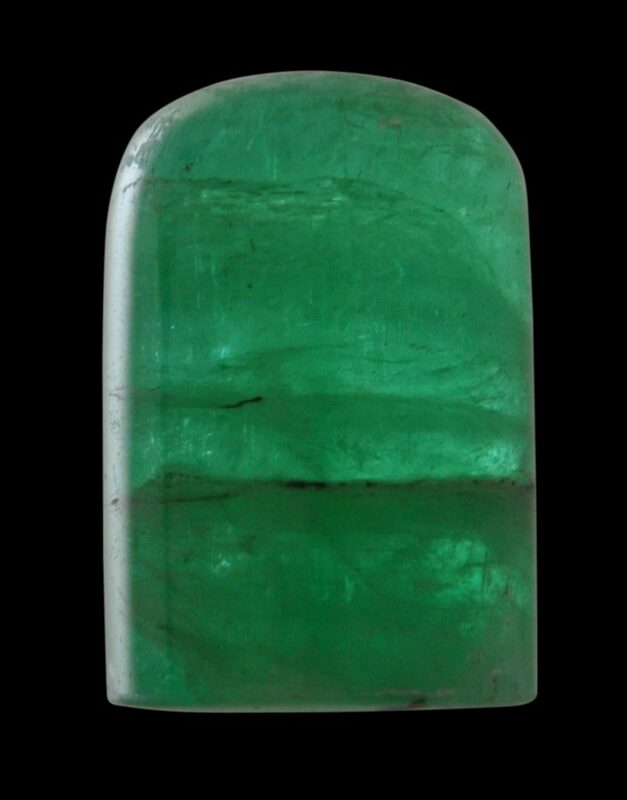 It has been identified as a Siberian emerald, cut and polished in the 19th century. 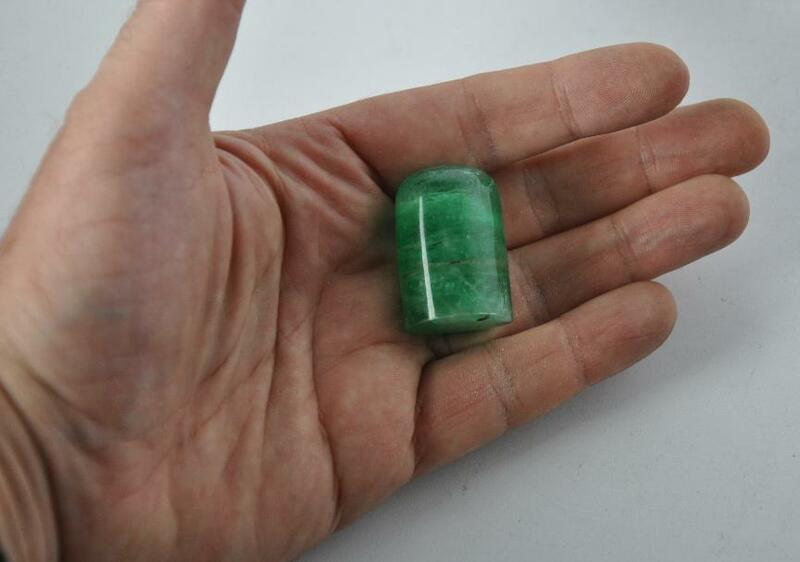 Emeralds have been mined in Siberia since the 1830s and many such stones were traded from Russia to India via the Khyber Pass which connects Afghanistan with what is now Pakistan. The base is in high grade and possibly pure silver. 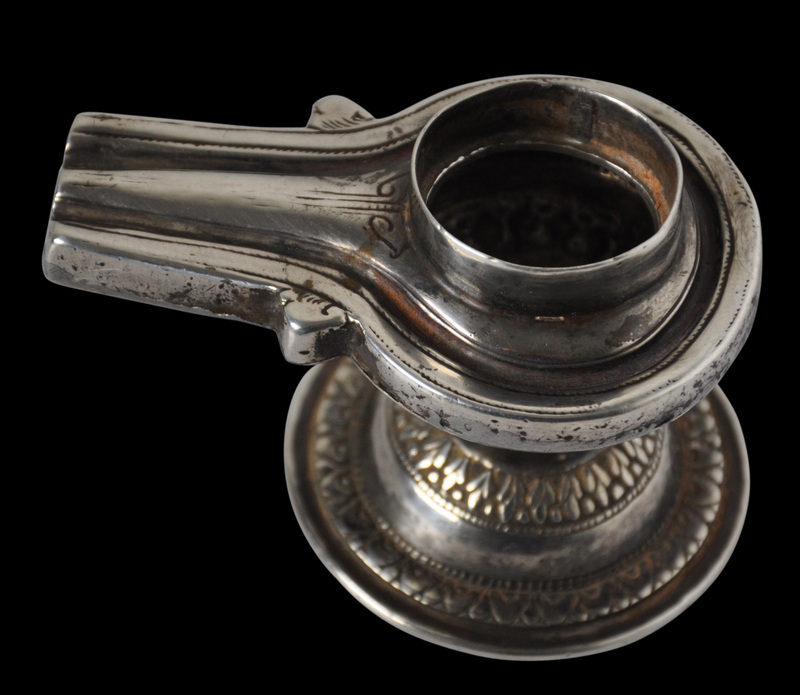 Silver is considered a ‘pure’ metal in Hinduism and thus appropriate for use in ritual-related items. It has been finely chased with bands of leaf motifs on the foot and underside of the yoni dish. The detailing of the topside of the yoni has also been etched into the silver. The emerald lingam separates from the silver base. 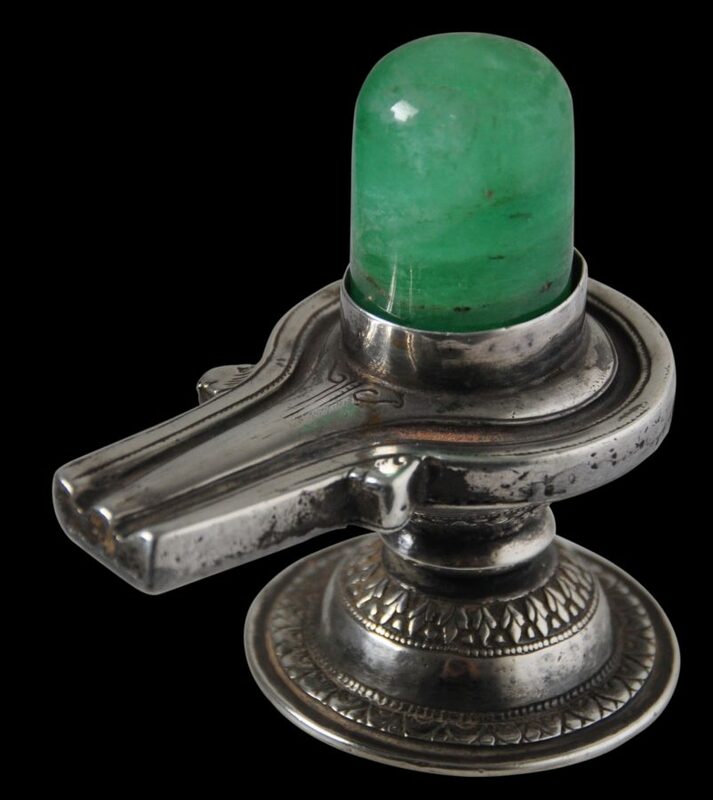 The two are undoubtedly contemporaneous with one another, the base have been made to fit the lingam. The form of the lingam is based on the male genitalia and is an abstract representation of the Hindu deity, Shiva. 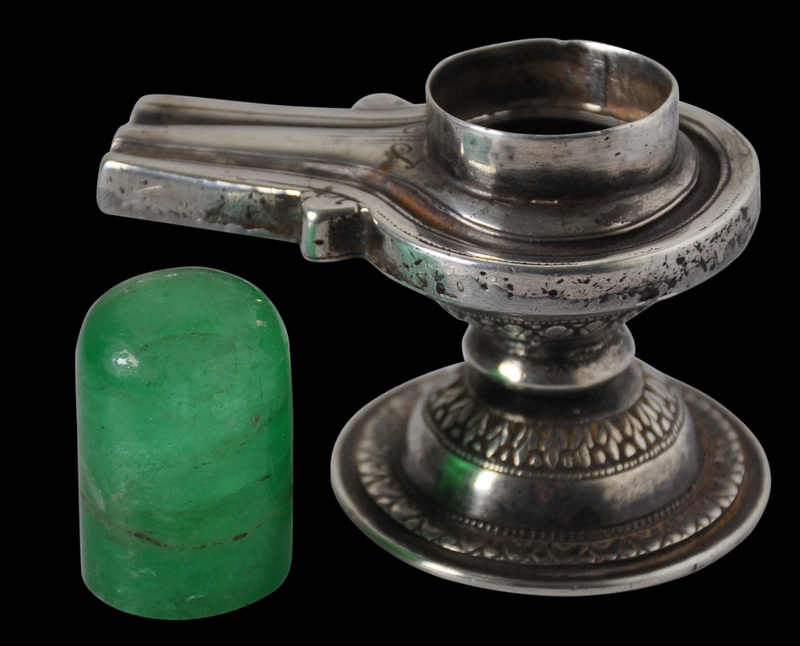 Lingams are used in worship in temples and smaller shrines, including household shrines. The lingam is seen as a symbol of the energy and potential of Shiva himself. The lingam is often represented rising from the yoni, the female symbol, the form of which is based on the female genitalia. The physical union of a lingam with a yoni represents the indivisible two-in-oneness of male and female. Neither representations have any overt sexual meaning however. Indeed, the two are more symbols of power, fertility and prosperity than anything that is sexually charged. Puja worship of a shivalingam typically involves pouring water, milk and ghee offerings over the lingam and the yoni acts as the catchment receptacle and the conduit from which these sacred offerings can be collected and distributed to those in attendance. This wonderful item is in fine condition. There are no chips or cracks to the emerald. 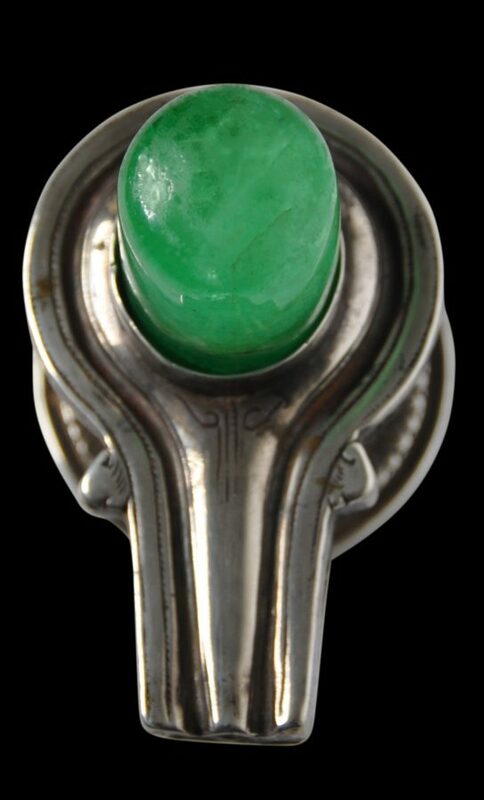 The silver base has a fine patina consistent with its age and so too does the surface of the emerald. Overall, this is a very rare, museum-quality piece. Bala Krishnan, U.R., & M.S. Kumar, Dance of the Peacock: Jewellery Traditions of India, India Book House Ltd, 1999. Blurton, T.R., Hindu Art, The British Museum Press, 1992. Stronge, S., Bejewelled Treasures: The Al Thani Collection, V&A Publishing, 2015. Utracht, O., Traditional Jewelry of India, Thames & Hudson, 1997.